Check if your filters are clean. Change if necessary. Check your circuit breakers both at the unit and inside your home. If you have a heat pump and the “emergency heat” light stays on, turn your thermostat switch to Emergency Heat only position. This will prevent your outdoor unit from running. In severe cold weather, your heat pump unit may freeze over time. It should have a defrost device to thaw the unit. The unit makes a “whoosh” noise and melting ice may produce visible light steam. 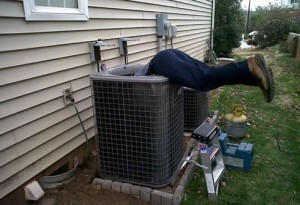 Clogged filters can cause your unit to freeze. Turn off your unit and change the filter. Switch the thermostat to “Fan Only” until the ice is melted. If problems persist, call General Air for a service check up. Replace filters every 30 days. Do not block air return grilles in your home. Keep doors and windows closed while running the unit. Insulate your attic, walls, and floor. Keep windows facing the sun covered with drapes or mini-blinds. Keep the thermostat set at one comfortable temperature. Adjust at night if needed. When adjusting the thermostat, move the set point in small intervals. Source: Studies conducted by North Carolina Alternative Energy Corporation, Texas A&M University, Louisiana State University and BSI client customer surveys. Our proven Home Use and Livability Survey data gathering techniques enable us to provide our customers with unconditional performance guarantees. Our computer Manual J home load modeling guarantees that heating, cooling and comfort capacities will be met. Our equipment/system selection process guarantees that both your personal and your home aesthetics requirements are met. We select the most appropriate installation implementation process that guarantees our customers the lowest possible installation costs. We will assign an installation team that will take care of everything, manage everything, and be totally responsible for everything. We specialize in working in occupied spaces and know the challenges, keep work areas clean, and actively plan our work methods to minimize any possible disruption. We verify and test all work completion to guarantee that all was installed to specification and to best industry standards. Our in-depth operator training guarantees that you will maximize your investment. Our installations are installed per industry best practice, which has continuously proven to reduce emergency or trouble calls. However, when one does occur, you will receive our highest priority response. We respond to emergency service or trouble calls even during peak periods within four (4) hours or less of your call. Lifetime Install-Right® Ductwork Warranty – We provide a lifetime warranty on our ductwork installations to perform as designed and be free of defects for the lifetime of the system. Lifetime Install-Right® AIr Balance Guarantee – We provide a lifetime guarantee that the air volumes we set for each room will be no more than two degrees difference between rooms or we will rebalance it for free. 24 hours of a failure or to put you in a hotel until fixed. The following owners manual is for Trane’s Commercial Single Zone Rooftop Air Conditioners with CV, VAV, SZVAV controls. You can download the full PDF via the link below. There are many factors to consider when making your home or business more friendly to the environment. Windows, ducts, and insulation all contribute to the efficiency of your heating and cooling units. When you call General Air, we can help you identify areas of loss and design a heating and cooling system to meet your needs in the most efficient and cost-effective way. We recommend only products that meet or exceed government recommendations. What does it really mean to “go green” in the heating and cooling industry? According to the Department of Energy, Energy Efficiency and Renewable Energy, heating and cooling your home uses more energy and drains more energy dollars than any other home-based system. Typically, 56% of your utility bill can be contributed to heating and cooling. What’s more, heating and cooling systems in the United States together emit 150 million tons of carbon dioxide into the atmosphere each year, adding to global climate change. They also generate about 12% of the nation’s sulfur dioxide and 4% of the nitrogen oxides, the chief ingredients in acid rain. There are many ways to achieve a more environmentally-friendly home. Our approach to designing a heating and cooling system focuses on energy efficiency and increased occupant health. Ultimately, our goal is to help reduce your carbon footprint. One of the biggest ways to make a difference in reducing your energy consumption is through your heating and cooling equipment. Installing a high efficiency heating and cooling system can reduce the total annual energy consumption in your home by as much as 30%. 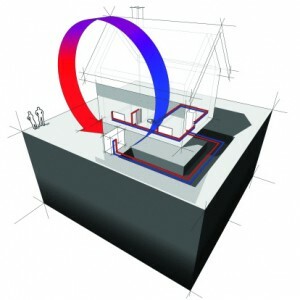 One of the primary areas that greatly impacts energy efficiency is the ductwork in your home. According to the Department of Energy, the average air leakage for a home’s duct system is 20%. We have been testing many duct systems and we have been seeing leakage averaging 40-50%. The average leakage for a duct system that we install in a “Green Home” is less than 3%. All of our ductwork systems for new construction Green Homes are certified by a third party energy rating company. As environmental concerns have become more paramount to public concern, we are seeing a new system being implemented in the way we use air conditioning. The existing system which many people refer to as “freon” is actually what is termed “R-22.” The R-22 refrigerant is being replaced by the R410a refrigerant, which is a much more environmentally-friendly and energy-efficient system. This overhaul will completely replace the R-22 with the R410a because they work on two opposite pressure systems. The copper lines that the R-22 uses will need to be changed out or flushed because it uses mineral oils that break down into damaging carbons that are speculated to be large contributor to climate change. R-410a will use synthetic oil that will be able to sustain at much higher temperatures than that of the old system. So if you have an older system which uses R-22 coolant, now is the time to upgrade. If energy bills and wasteful consumption are weighing heavily on your mind, contact General Air. We are experts in saving you money and maximizing your home’s energy efficiency. No matter what kind of heating, ventilation, and air-conditioning system you have in your house, you can save money and increase your comfort by properly maintaining and upgrading your equipment. But remember, an energy-efficient furnace alone will not have as great an impact on your energy bills as using the whole-house approach. By combining proper equipment maintenance and upgrades with appropriate insulation, air sealing, and thermostat settings, you can cut your energy use for heating and cooling and reduce environmental emissions from 20% to 50%. For long-term savings, select energy-efficient products when you buy new heating and cooling equipment. With forecasters predicting an early Summer, and rising energy prices, maintenance could mean the difference between a nice 7-day vacation with Mickey Mouse in Orlando, or Bob in Accounting. If you’d like to hear more about how you can save this Summer and FUTURE Summers, give General Air a call at 864-299-8979 and schedule an appointment today! HVAC maintenance is very important, Don’t let YOUR AIR CONDITIONING STEAL YOUR VACATION! Studies have proven time and time again that the human body needs proper humidification for overall health and wellbeing. Adding humidity to the air you breathe can increase the indoor air quality of your home or office and combat the negative effects of dry air and dehydration while enabling the body’s immune system to better defend itself against harmful germs. Dry Air is one of the major causes of respiratory infections, nose bleeds and repeated episodes of winter colds. A lack of moisture can prevent your body’s immune system from repelling infection causing germs, and can actually promote the growth of some bacteria, viruses, and respiratory irritants. Studies also show that pneumococcus, staphylococcus, and streptococcus bacteria die up to 20 times faster at a relative humidity between 45% and 55%, than above 70% or below 20%. Dehydration is another ailment of low moisture levels and can also cause negative health effects. a decrease in the body’s immune system. Low levels of humidity can aggravate skin allergies and respiratory infections, while extremely high levels of humidity increase the spread of mold, bacteria, and viruses. Maintaining a proper humidity level is the key to avoid such problems. The Honeywell TrueSteam can be programmed to maintain specific humidity levels or can operate under the Health Care Mode which reads surrounding room temperature and emits the correct corresponding amount of humidity. Within the last 50 years researches have also discovered that along with humidification, air purification (negative ion dispersal) can greatly benefit the overall health and well being of an individual. “Research shows negative ions help regulate brain serotonin. The brain’s serotonin neurotransmitter system has been associated with a variety of psychiatric disorders including: depression, anxiety, anti-social personality disorder, even alcohol & drug dependency! Local humidification (small units placed near where you sit or sleep that direct humidity into your breathing zone) has also been found to be more effective than increasing the humidity in an entire area when treating cold and flu symptoms. How Humidity Effects You and Your Property. Proper humidification allows you to maintain a comfortable living environment, while protecting your investments, and eliminating static shock. Conditioning the amount of moisture in the air is necessary to maintain comfort. Optimal comfort is considered to be achieved at 45-65% humidity. Most homes heated to 73 degrees can have a relative humidity approaching 15%. In comparison, the typical humidity in the Sahara Desert is 25%! Allergens, dust particles, and cigarette smoke can contaminate the air we breath causing an increase in allergies and respiratory irritations. Effectively purifying the air can significantly decrease these effects. The SonicAire provides humidification with the benefits of air purification. Dry air causes plants to droop, furniture joints to loosen, moldings to shrink, and wallpaper to loosen due to the loss of moisture. It can cause warping and splitting of furniture, woodwork and hardwood floors. Specific humidity control is vital to protecting your health and your investments. The Honeywell TrueSteam allows you to set specific humidity levels to control the amount of umidity around you. 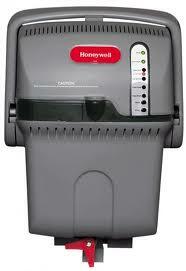 Not all humidifiers on the market today allow you to set and control specific humidity levels. The Honeywell TrueSteam can be programmed to maintain these ideal levels providing comfort for every situation. Humidity and Your Overall Well Being. 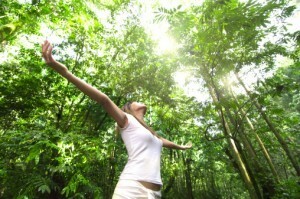 Maintaining the indoor air quality of your home can increase your overall well-being and happiness. The combination of an ultrasonic humidifier with a built-in air purifier gives you the benefits of humidification and air purification at a fraction of the cost of buying either unit separately! The Aprilaire Humidifier combines these benefits saving you money! Using a humidifier can improve your skin – especially when used at night when dehydration of the skin occurs. A humidifier provides moisture which keeps the skin soft and supple. Using a humidifier can help lower heating bills. When the air around you is dry, moisture is drawn from your skin which removes heat from your body. With properly humidified air, your body retains its moisture. A well-maintained heat pump will ensure that you stay warm throughout the entire upcoming winter. It will also help you save energy and reduce your energy costs. If you neglect important service needs, you could be paying 10 to 25 percent more each month on your energy bills. There are simple things you can do to maintain your heat-pump system, such as change the filters regularly. You can also clean the outdoor coils to make sure random debris doesn’t negatively affects its performance. However, the most important step is to have a licensed HVAC contractor come inspect your heat pump. Inspect ductwork for leaks and seal them. Lubricate moving parts, such as the motor, and make sure the belts are tight and not worn down. Check the filters, blower, indoor coil and ducts for dirt or other debris that can inhibit performance. Measure airflow to make sure it is adequate. Verify that the system’s refrigerant levels are appropriate. Ensure that the thermostat is working properly. Check the electric controls to ensure that the cooling mode is locked out when you are using your heating equipment, and vice versa.For more information about your heat pump or to have one of our expert HVAC technicians inspect it, contact General Air Conditioning Service Corp. We have proudly served Upstate South Carolina and the surrounding area since 1959. We thought this interview was worth posting as it clearly defines the importance of air duct cleaning. While the author of the 10 year old EPA publication about air duct cleaning down plays the connection between allergies and dirty air ducts; common sense and even allergists tell us otherwise. 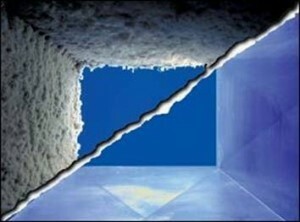 If you suffer from allergies and haven’t had your air ducts cleaned recently, we recommend taking care of it. Use General Air because we have the ability to thoroughly clean and inspect your furnace while we are out. The seasonal allergy time is winding down, but as the temperatures cool and windows are closed for the year, allergy sufferers face a new culprit – indoor allergens. Jeffrey Glassheim, ThedaCare allergist, said he believes more people suffer from indoor allergies than outdoor, which makes for a rough season for his patients. The big problem occurs, he said, when allergy-sufferers turn on their furnace for the first time. “If people haven’t cleaned their ducts, there are almost always irritants and residual allergens that are going to set them off,” Glassheim said. At the very least, he said, people can change the filters in their furnace, which can help control mites and dander. Pet dander, dust mites, mold and cockroaches are most often the culprits of indoor allergies. And while frequent vacuuming and maximizing hardwood and tile while minimizing carpeting can help, proper furnace filtration and duct cleaning will be most beneficial, he said. Interview and select the local HVAC service company you want to use when it comes times to repair or replace your furnace, boiler, heat pump or central heating system. Choose wisely and place a high value ontechnician education and professionalism. Get on an annual maintenance program with that local company. By selecting a local service provider ahead of time, you can make your selection when you are not in a hurry, and your local AC & heating companies are not slammed with their seasonal spikes in business. Therefore, you should make your choice during a time of the year that is neither hot or cold in your area. If it is hot or cold, try to make it after the first few days of hot or cold weather arrive, because that’s when more systems fail or previous failures get noticed. Unlike extended warranties that require a good bit of scrutiny to choose good values from poor values. An annual maintenance plan on your AC & heating system should pay for itself many times over. Prevents small problems from turning into major repairs in the equipment or your property. Can save on energy or fuel costs and lower your monthly bills. Identifies gas leaks, carbon monoxide, and other potential safety issues. Now back to the HVAC forum from this week, and the importance of technician education and professionalism. In spite of relatively high unemployment around the U.S., a surprising number of heating and air conditioning companies are having a difficult time finding qualified technicians. Some HVAC business owners even described going to high school vocational programs to start the selection and grooming process early for future technicians. These company owners gave several possible reasons for this phenomenon. Their explanations included: candidates having necessary aptitude to work with their hands, increasing need for technical HVAC training, physically challenging work environment (in attics, under floors, etc. ), parental focus on white collar type training and jobs over skilled labor/ blue collar, and the type of physical working conditions involved. At General Air, all of our technicians are trained professionals that are subject to a rigorous background check and random drug screens to ensure that you have the absolute BEST coming to service your HVAC equipment! If the above facts and our previous post about Carbon Monoxide Poisoning, have peaked your interest in a Preventive Maintenance Agreement inquire here. They are extremely affordable and are a great way to ensure your family’s comfort and safety!